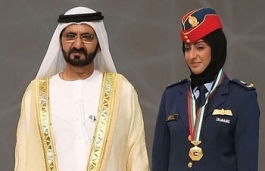 With backing from her family, Mansouri, who had always wanted to fly fighter jets for her country, joined the UAE Air Force in 2007 when authorities first announced they were accepting volunteers. During her career, Mansouri has taken part in a significant number of the aerial maneuvers both inside and outside the UAE alongside allied and friendly states. 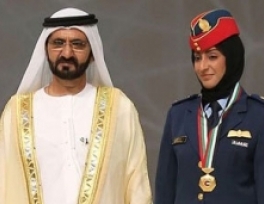 Emirati Vice President and Dubai ruler Sheikh Mohamed bin Rashed al-Maktoum honored Mansouri for her achievement and presented her with a medal as well as the Mohamed Bin Rashed award for distinguished governmental performance.